Contrary to many, many reports, Google+ is not dead. Well, at least, not yet. In fact, rather the opposite - while Google has been gradually de-emphasizing and un-coupling Google+ from its other products, they've also been working on the platform with a view to better aligning it with what Google+ users actually use it for. 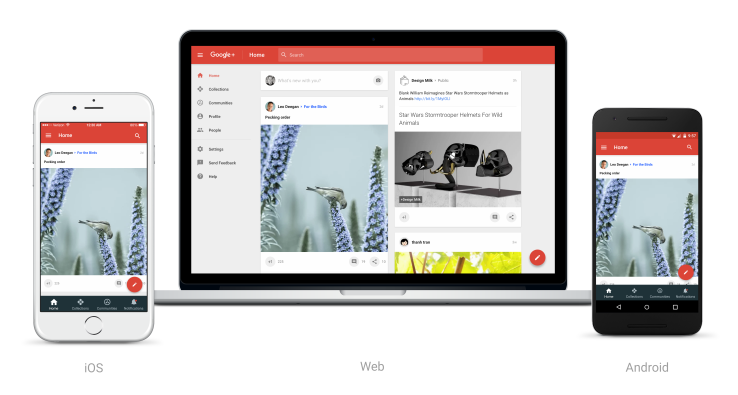 And today, via their official Google blog, Google has unveiled the new Google+ - with the 'new' version being a scaled back offering putting more focus on the elements that worked. 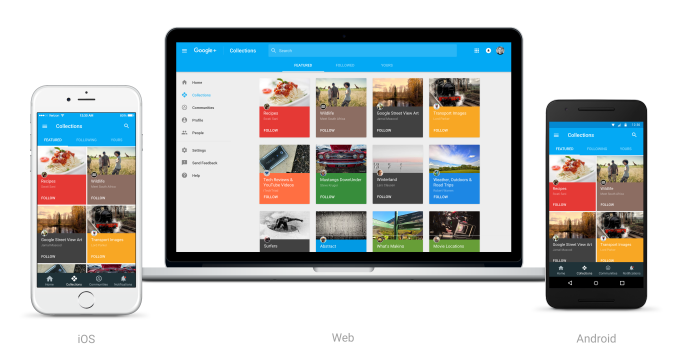 In a post titled "Introducing the new Google+", Google's Director of Streams Eddie Kessler outlines the basis of the re-imagined platform. "Since we last posted, we've spent a lot of time listening to what people using Google+ had to say. There were two features they kept coming back to: Communities, which now average 1.2 million new joins per day, and Collections, which launched just five months ago and is growing even faster. Whether it's the Nonfiction Addiction Community, where people can be found discussing the best in Crime or Travel storytelling, or the Watch Project Collection, where more than 40,000 people are following an antique watch hobbyist, these are the places on Google+ where people around the world are spending their time discovering and sharing things they love." As noted, the new emphasis of Google+ is less on it being a social platform aimed at challenging the existing providers and more on its strength in communities and differentiating features. This is largely how many social commentators have expected the dismantling of Google+ to play out - as Google's slowly chipped away at what G+ once was, their communities have always been viewed as a major strength, particularly in regards to technical and niche communities that have built up strong, loyal and highly beneficial networks through Google+ groups. The growth of Collections is somewhat surprising - Collections, for those unaware, is a Pinterest-style functionality that enables users to create groups of posts on a particular topic that can then be shared publicly or with specific sets of people. Though, then again, when Collections was announced earlier in the year, Google did note that it developed the offering based on people's behaviors on the site - users were connecting around shared interests and were seeking a better way to organize content around them. Given this, the emphasis on these two elements makes perfect sense, and the re-development of the platform around them should offer some assurance to those who've invested a lot of time and effort into their G+ communities. The re-designed G+ 'puts "Communities and Collections front and center", with a particular focus on mobile - the iOS app has been completely re-built, while the focus of the Android app has been switched up. As you can see here, the Home screen still shows you posts from friends as normal, but Google's altered its algorithm to also highlight things that the system suspects you'll likely to be interested in, based on your past on-platform behaviors. The Communities tab is significantly different, offering a wide range of possible interests, tailored to your most likely preferences. Communities look particularly interesting on mobile, with a re-designed interface and more user-friendly options. The new design presents a more stripped back feel, designed for easier interactions and to simplify the discovery and user process. While the new design is interesting, and as noted, will offer some assurance to avid Google+ fans that the platform's not headed for the scrap heap, it's also unlikely the redesign is going to boost Google+'s audience in any significant capacity. That may not be the intention, maybe the design has purely been implemented with regular users in mind and is aimed solely at keeping them on-side, while incrementally building engagement and interaction through communities in the process. That might be a good strategy for Google to take, tailoring their design to cater to advocates in the hopes that that might then spur additional interaction and growth over the long-haul, as opposed to building their own social network challenger to take on the might of Zuckerberg and Co and their ever-growing behemoth. But what is clear though is that the idea of Google+ becoming a major player in the social space is pretty much dead and gone. As has been well documented, that strategy, if, indeed, that was the plan, seemed flawed from the beginning. Maybe, had Google+ taken this more simplistic, user needs focused approach from the beginning they'd actually be in a competitive position now, rather than scaling back. In that sense, it's possible that, over time, Google+ could build a stronger community through this process and see their platform grow as a provider of great community engagement and discussion. Right now, growth in that sense doesn't appear to be the focus, but maybe in the longer term. Building user-by-user, as opposed to taking significant chunks of attention away from the existing players. If you want to test out the new Google+, you'll need to opt-in via the web - check out this post for more info on what you need to do.